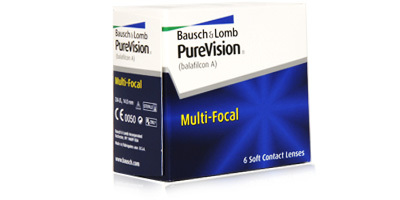 Bausch & Lomb’s Purevision multifocal lenses are Custom designed to combat presbyopia. 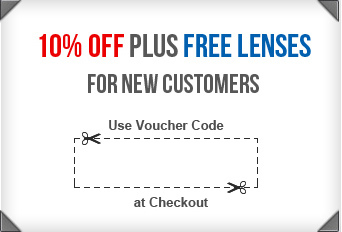 They combine excellent clarity of vision with a natural and exceptionally comfortable lens wearing experience. 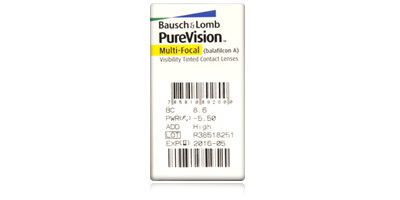 Purevision Multifocal contact lenses supply sharp focus at all times and enable the wearer to look at objects at different distances effortlessly and without momentary blurred vision that often occurs with standard lenses. Made from a soft and wettable silicone hydrogel material called Balafilcon A, Purevision Multifocal contact lenses offer eye health benefits too. Bausch & Lomb’s patented AerGel technology resists deposit and protein build-up that can result in irritation and loss of vision quality. As these lenses are naturally wettable, more oxygen can filter through them and reach the eye. This means the eye stays naturally hydrated with every blink. A rounded edge and a visible tint makesPurevision Multifocal daily disposables easy to see, handle and apply. 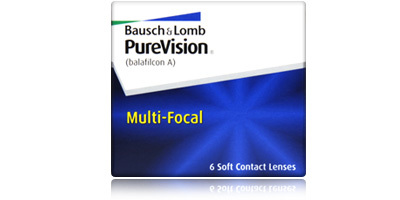 Bausch & Lomb Purevision Multifocal contact lenses have been designed primarily for daily use on a monthly disposable schedule. However, they’ve also been FDA approved for continuous wear for up to six nights. Check with your Optician before embarking on extended wear.